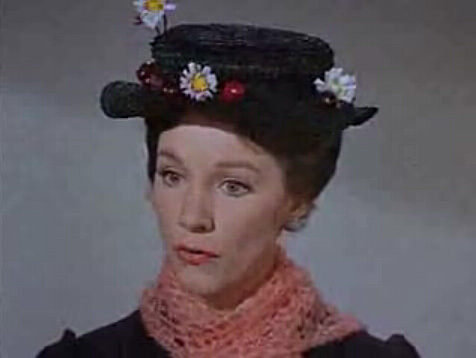 Mary Poppins, Mr. Bean, Love Actually, and Four Weddings and a Funeral. 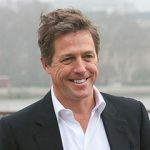 I thought it a give-in that Hugh Grant would appear in my life, that I would befriend a nanny who used words like “spit spot” and that I would fall in love with British men, all of whom would be incredibly self-effacing, bumbling and stumbling over their words, and utterly incapable of taking a compliment. Suffice it to say that none of these things transpired. 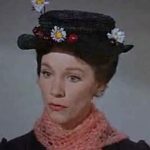 Apparently, I am too old to have a nanny, and most of the ones I spotted on the streets looked quite unapproachable anyway. As for Hugh Grant, I spent a year in London and managed not to meet him even once. The most ubiquitous British actor and our paths never crossed! Hard to believe, I know. But, let’s get back to the topic at hand! I was enrolled in an MA Creative Writing course at Kingston University. When they sent me my acceptance letter, it was like Charlie finding the golden ticket. As soon as the plane touched down, I was dead curious to explore this Kingston I had heard so much about, and see where I would be studying for the next year. I had a basic knowledge of Kingston (Upon Thames), stemming from some very intensive Wikipedia research. I knew that it was famous for being an old market place, I knew that it was home to the Rose Theater, and that it was right along the river. 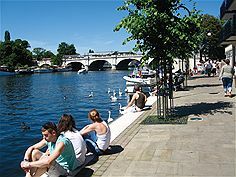 I googled Kingston riverside and saw boats going by, people relaxing outdoors, and so many swans. It was the latter detail that really sold me. The first things I noticed when I finally arrived in the Kingston town center were the adorable street names: Wheatfield Way, Eden Walk, and Lady Booth Road. The next thing that drew my attention were the stores. I spotted Hollister, H&M, Uniqlo, and American Apparel. I saw McDonald’s and Pizza Hut. I was definitely not new to the concept of globalization, but it was still disappointing to be immediately hit in the face with reminders of home. The whole point of leaving was to see something brand new. I didn’t have a long time to grumble though, because I started noticing signs for something called Marks and Spencer, Tesco, and Boots. All three names were delightfully unfamiliar to me. 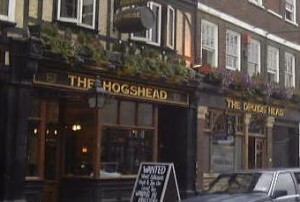 On top of that, I was spotting pubs on every corner. They bore old-fashioned names, with traditional décor, and plenty of jolly old Englishmen inside. I was intrigued, but wanted to make my way to the Thames first. The view was more gorgeous than I had anticipated. There were cafes and restaurants all along the riverside, with couples lounging around, smoking cigarettes, eating generous plates of food, sipping on full-to-the-brim glasses of wine. And this was all happening in the afternoon! _Job? What is this “job” you speak of? _The sun was bouncing off the river, casting diamond shapes on the water. I saw a white-bearded man and his wife having lunch in their boat with the curtains half-drawn, and children sitting on the edge of the path, with their feet dangling over the water. 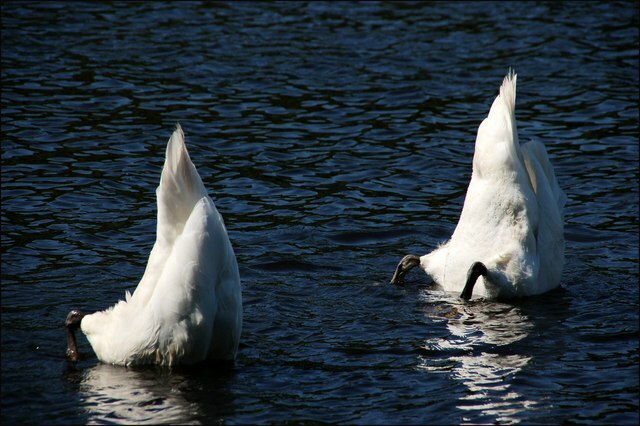 And the swans! I had never seen that many in my life. Some were picking at each other, others were vying for the last piece of bread that a little old lady had thrown to them. 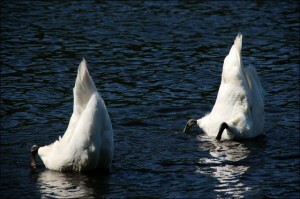 A couple were upside down with their feet in the air, presumably having a drink. The whole scene was almost too picturesque. I stood there, snapping photos, and waiting for a giant asteroid to strike. It all seemed too perfect. I was overjoyed. I couldn’t believe my luck that I would be studying here for a year. And living here too! Well, not exactly here. I was moving into International Student Housing in New Malden. 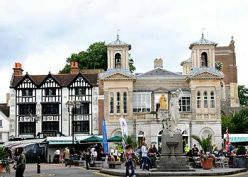 My landlord had told me that that town was a stone’s throw away from Kingston. I assumed that my flat would be in a location similar to this one. I imagined waking up in the morning to the sounds of happy couples having breakfast, and birds flying by. Well, I was in for a big surprise.